You might receive an error message while shutting down your computer saying “The exception unknown software exception (0xe0434352) occurred in the application at location 0x77312c1a” or some other location. It is quite unnerving when you get an alert that something may be going bad and you don’t really know what it is. The good thing about it is that you get a code that tells you exactly how to fix the problem. So, let’s explore the troubleshooting steps you can do to address this problem. There are a few reasons why this error can come up during shutdown. One, it may be due to a corrupted .NET Framework installation or a corrupted device driver. 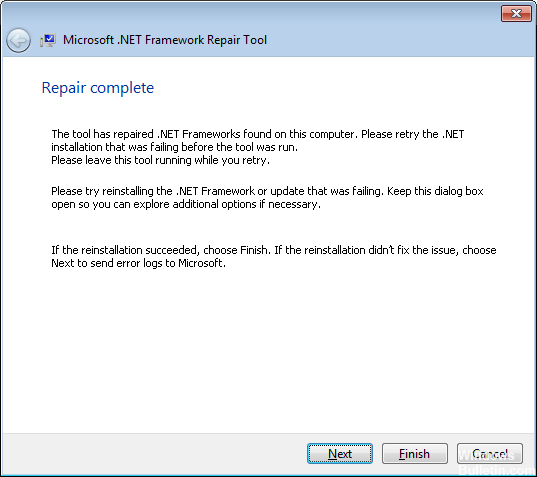 .NET Framework Repair Tool made by Microsoft was created to repair corruptions in the Framework for systems that have Windows 7 or later version OS. .NET Framework 4.6.1, 4.6, 4.5.2, 4.5.1, 4.5, 4.0 and 3.5 SP1 are among the supported versions of the .Net Framework program. Check disk is one of the earliest and best tools that had people been using to correct problems with computers. 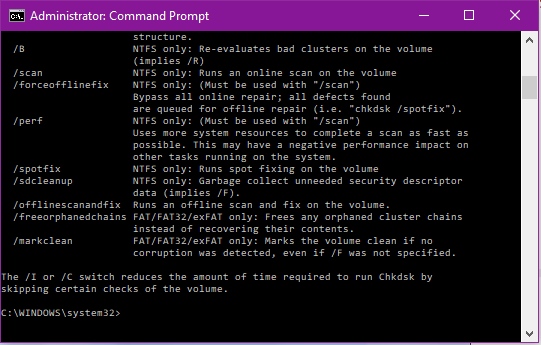 To run this system program, run an elevated command prompt and type chkdsk /f on the prompt. You may alternately run chkdsk /r or chkdsk /v, but just remember that these commands will run longer than the regular check disk commands because of the additional tasks you are asking the computer to do. Clean Boot State troubleshooting can fix problems especially with device drivers. Let’s say you just installed updates and a device driver was among them. The change caused your device not to function as expected, then you can correct the problem by disable some of the drivers and working with only the basic drivers, as this will help you identify where the fault happened. 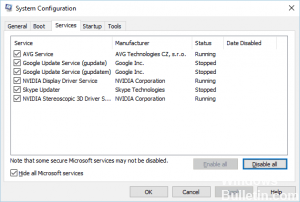 During normal usage of your computer, there are instances when files get corrupted. This is when System File Checker, a command line tool, that can be used to get back corrupted system protected files. Type sfc /scannow. It takes a while to complete the process so have patience. Restart your computer to let the fix fully take effect. 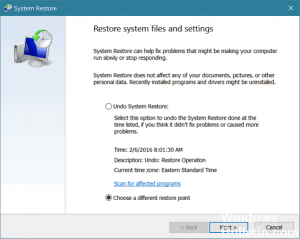 System Restore is like a time machine for your computer. It presents you restore points at which your computer is working fine. When you are getting an error like this and you are sure that the computer is not showing any physical damage, you can use System Restore to go back to a setting that works well with you. The error really has very little to do with the hardware part. So it is very easy to resolve. If you have a simpler way to fix this, go ahead and send us a message.